Good News for Honeybees: 2016 Population Results are Not "Horrible"
A survey of nearly 5,000 beekeepers across the United States has found a third of the bees they managed died between April 2016 and March 2017. That stat sounds horrible, but it’s not as bad as one would think. Bees have dealt with serious challenges over the last thirty years, says Dennis vanEngelsdorp, Ph.D., an assistant professor of entomology at the University of Maryland. He’s also project director for the Bee Informed Partnership, which conducted the survey. He stops short of calling the latest data good news. “We had gone from a situation that was horrible where were losing 50 percent of our colonies per year to one where it’s really bad, which is 30 percent. It’s better than it was, but that doesn’t make it good,” vanEngelsdorp tells Inverse. The results are slightly better because of a milder winter, which helps for obvious reasons, but also for a milder summer, which helped beekeepers fight off the biggest new enemy of bees. Whenever someone asks you, “Why are the bees dying?” you can quickly rattle off these three reason: mites from Asia, introduced 30 years ago; pesticides; and poor bee nutrition. Honey bee colony loss estimates. Enter the varroa mite, which started infesting honey bee colonies after coming into Florida in the mid-1980s. 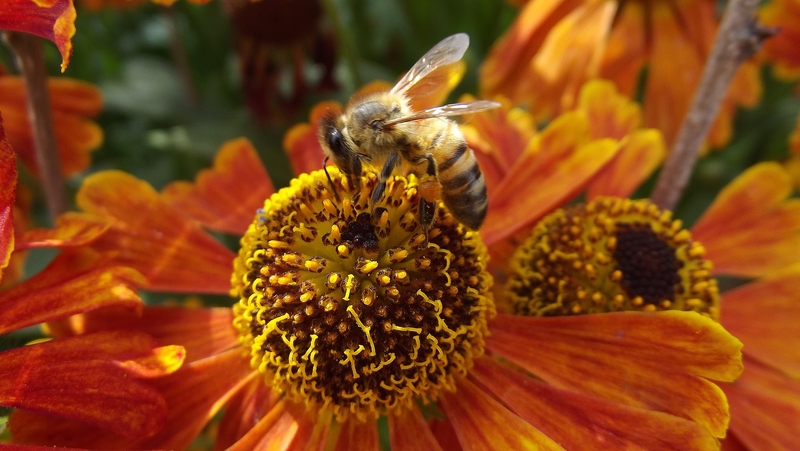 The European honeybee — which comprises most honeybee races in North America — has no innate immunity against viruses carried by the varroa mite, and in the last 30 years the viruses have become more virulent because of how they are transmitted between mites. All of which is to say that 20 mites among 100 bees was a concern 20 years ago, but today three mites among 100 bees carries the same threat level. These mites are the biggest problem for honeybees, bar none. Mite levels were also lower in the fall of 2016, in part because an essential oil in mite control products — which breaks down at hot temperatures — didn’t break down during the milder weather. Pesticides, fungicides, and insecticides pose another tricky challenge for bees and their keepers, who can’t control what chemicals farmers put on their crops that bees go near. Additionally, the effects of chemicals on bees are more subtle and take longer to show up. This one is easy: Honey bees collect pollen and nectar for the entire colony, which is converted to honey and to feed bee larvae. When there are less natural sources, it becomes tougher to find proper food and the colonies as a whole become less healthy. Not helping matters: A lot of land that used to be natural meadow are now heavily controlled and chemical-covered farm fields. Bee colony loss by state. Oklahoma was the worst hit in 2016. The Bee Informed Partnership was started ten years ago to study colony collapse disorder — when the majority of workers in a colony leave the queen — which has since become less of a problem, but has moved its studies on to why colonies are losing bees at such high rates. “[Colony collapse disorder] opened our eyes to seeing that colonies are dying at pretty high rates,” vanEngelsdorp says.